In the offices [of] EITAN, there are 95 files still open from the 1948 war. A team of about 50 active researchers is tasked with closing them—a hybrid outfit of detective-historians, not regular soldiers but rather reservists called up for a few weeks a year. In their real lives, some of the researchers are academic historians. Others are policemen or computer programmers. The necessary personality type ranges from patient to pedantic. They might spend years on one case. The rule is that they can never give up. . . . In the Jewish tradition, families must have a grave where they can mourn, explained [Nir Israeli, the unit’s commander]. And they need closure. “This is a commitment we make to our soldiers: we sent this person, and we have to bring him home.” Sometimes [Israeli] tries to demonstrate this value by bringing young soldiers along in his search parties. In a recent sweep to find the remains of four Givati Brigade soldiers who went missing in a skirmish with the Egyptians in 1948, for example, he used soldiers from the modern-day incarnation of the same military unit. (They found traces of the battle, such as old bullets, but no bodies.) . . .
Each file is periodically opened and reviewed for clues—something that might be apparent to a fresh pair of eyes, a hint that that might have evaded researchers in the past. . . . EITAN researchers manage to close a few files a year. In May, for example, after years of searching, they found the body of a thirty-four-year-old fighter, Libka Shefer, who was killed in an Egyptian assault against a kibbutz in southern Israel in 1948. Seventy years after her death, she was finally buried under her own name. Sergeant 1st Class Zachary Baumel’s last words to his parents were “Don’t worry, everything is okay, but it looks like I won’t be home for a while.” After 37 years, Sergeant 1st Class Zachary Baumel has finally returned home. In 1982, during the First Lebanon War, Sergeant First Class Zachary Baumel, an IDF tank commander, went missing in action (MIA). Today, we finally brought this fallen soldier home to Israel for a proper burial. For decades the Israeli intelligence community and the MIA Allocation Team have undertaken various intelligence, research, and operational efforts in order to locate and recover the remains of those who are MIA. The IDF’s Military Intelligence Directorate initiated Operation Bittersweet Song, and following a month’s long process which was just completed in the past few days, the body of Sergeant First Class Zachary Baumel was located, identified, and recovered. On the night of June 10, 1982, the IDF’s 362nd Armored Battalion entered the Beqaa Valley in the eastern region of the Sultan Yaaqoub sector in Lebanon. The Israeli battalion found itself facing the Syrian 1st Armored Division alongside forces from Palestinian terrorist organizations. Over the course of nearly 37 years, Israeli intelligence officers searched for the remains of fallen tank commander Zachary Baumel, who went missing in the 1982 Battle of Sultan Yacoub against the Syrian army in Lebanon’s Bekaa Valley. This week, nearly four decades later, Sgt. First-Class Baumel’s body was returned to Israel and will be brought to a Jewish burial at Jerusalem’s Mount Herzl military cemetery on Thursday evening. In Israel, the bittersweet news was greeted with a sense of awe and pride at the lengths the military was prepared to go for its fallen soldiers. Baumel’s father, Yona, died in 2009 without learning of Zachary’s fate, but the rest of his family, including his 90-year-old mother Miriam, now have some form of closure. “We want all IDF soldiers to know that when they enlist, the State of Israel will do everything it takes, if they — heaven forbid — fall captive or go missing, in order to bring them home,” Lt. Col. Nir Israeli, the head of the Israel Defense Forces’ missing soldiers unit, told The Times of Israel Wednesday. In total, there are 176 IDF soldiers who are designated as killed-in-action but whose exact burial places are not known, the majority of them — 95 — from the 1948 War of Independence, Israeli said. In the world of intelligence, the saying goes, reality often exceeds the imagination, and yet – the operation to return Zachary Baumel’s remains to Israel, in a mission that spanned the globe, can easily be considered one of the most impressive in the country’s history. Israeli officials have long known where Baumel was buried. The matter of our missing soldiers was also raised on many occasions with foreign governments, primarily in the midst of peace talks with Syria and the Palestinians. After the Oslo Accords were signed, Yasser Arafat even transferred one of Baumel’s dog tags to Israel, but nothing more ever materialized. Syria has always said it would agree to resolve the mystery, but only parallel to receiving the Golan Heights in return, as part of a peace agreement between the countries. 37 years after Israel's first war with Lebanon in 1982, the Israeli Defense Forces said on Wednesday that the body of fallen soldier Zachary Baumel had been transferred to Israel. Baumel's funeral will be held at Jerusalem's Mount Herzl military cemetery on Thursday night at 7:00pm local time. The IDF spokesperson said Baumel's body was returned aboard an El Al flight through an anonymous third country intermediary in operation undertaken by Israel's intelligence agencies. Five more Israeli soldiers went missing in Lebanon on June 11, 1982 during the Sultan Yaaqub battle including Zvi Feldman and Yehuda Katz, whose whereabouts remain unknown. 20 Israeli soldiers were killed during the exchange of attacks with Syrian forces at the start of the First Lebanon War. Baumel's burial is set to take place this week. Sgt. 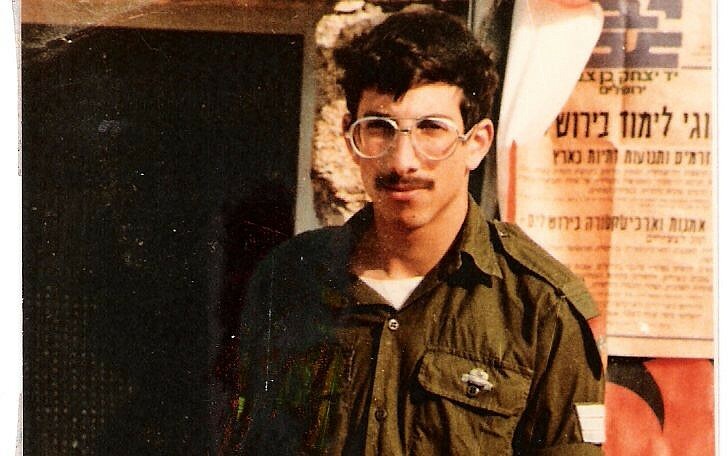 First Class Zachary Baumel will be buried in Jerusalem on Thursday, the army said, 37 years after he was likely killed in the First Lebanon War’s battle of Sultan Yacoub in 1982 at the age of 21. Baumel’s funeral was scheduled for 7 p.m. at Mount Herzl, according to the Israel Defense Forces. After a complex and secret operation, Baumel’s remains were returned to Israel “on an El Al plane” via an unnamed third country earlier this week, a military spokesman said earlier on Wednesday, without specifying the nation. The announcement brought to a close a decades-long mission by Baumel’s Jerusalem-based, American-born parents to find their son, which included international pressure campaigns and faint hopes that he may have been captured alive during the brutal Sultan Yacoub tank battle. Yona Baumel, Zachary’s father, died 10 years ago; his mother Miriam is 90 years old. The third country involved in the mission was widely believed to be Russia, which said in September that it had helped Israel search for the remains of missing soldiers in Islamic State-held territory in Syria. On the most normal of days, after monitoring a high school matriculation exam, Osna Haberman received news she had longed for and dreaded for almost 37 years: the remains of her younger brother, Zachary, had been found in Syria. “I had a regular work day,” she told The Jerusalem Post, less than 24 hours later and she still struggled to absorb the information about her brother’s fate. That Wednesday, Osna had a particularly heavy schedule because she had to deliver oral matriculation exams to over 20 students. When she was done, she took the bus home and changed into comfortable cloths when she heard a knock on the door of her Jerusalem home. “I open the door and 10 people in uniform stood there – even the first time it was three,” she recalled. President Vladimir Putin told Israeli Prime Minister Benjamin Netanyahu on Thursday that Russian special forces troops in Syria had found the remains of a US-born Israeli soldier missing since 1982, allowing him to be finally buried. The disappearance of Zachary Baumel, who was 21 when he fought in Israel’s First Lebanon War and was declared missing in action along with two other soldiers in the Battle of Sultan Yacoub, has long troubled Israel. Speaking at talks in Moscow with Netanyahu who is campaigning for a new term ahead of elections next week, Putin said Russian and Syrian forces had located Baumel’s remains, but that it had been a difficult task. “We are very happy that they will be able to give him the necessary military honors at home and most importantly… that his close relatives will be able to bring flowers to his grave,” Putin said in comments published by the Kremlin. Russia handed over a casket containing Baumel’s personal effects, including his combat uniform, on Thursday. Baumel immigrated to Israel with his parents from New York in 1970. Over the years, there had been unverified reports that Baumel and two other soldiers who went missing at Sultan Yacoub might have survived the fighting and been captured. The precise location of his remains was not disclosed, but Netanyahu said Russian soldiers had risked their lives to get them. The recovery was welcomed by the United States, Baumel’s birthplace. After the return of the body of Sgt. First Class Zachary Baumel, Russia is continuing to search for the remains of two other IDF soldiers who went missing in the same 1982 battle in the First Lebanon War, a senior diplomatic official said on Thursday. Tank commander Baumel, a Brooklyn-born immigrant, was one of three Israeli soldiers whose bodies were never recovered following the battle of Sultan Yacoub, a skirmish between the Israel Defense Forces and Syrian army in Lebanon’s Bekaa Valley, in which 21 Israeli servicemen were killed and more than 30 were injured. Though Baumel and the other two soldiers — Zvi Feldman and Yehuda Katz — were generally believed to have been killed in the battle, there was also speculation and reports that they had been captured by the Syrian military in Sultan Yacoub and brought to Damascus. The remains of Feldman and Katz were not recovered in the operation to retrieve Baumel’s body, though Israeli officials initially thought Feldman’s body might have been among the other remains recovered in the operation, according to the Haaretz newspaper. Did a Palestinian militant group sworn to Israel's destruction find Baumel's body? Wrap your heads around this: Terrorists belonging to the Popular Front for the Liberation of Palestine-General Command (PFLP-GC) cooperated with Israeli intelligence to bring home the body of an IDF soldier missing for 37 years. That wild possibility may have led to the remains of Sgt. Zachary Baumel being repatriated this week after the culmination of two-year long Operation Bittersweet Song. Based in Syria and headed by Ahmad Jibril, PFLP-GC is an offshoot of the PFLP and is violently opposed to any peace with the Jewish State. The group was involved in dozens of deadly attacks against IDF troops in southern Lebanon and Israeli civilians during the 1970s and 1980s. While the IDF maintains that there had been no negotiations or prisoner exchanges for Baumel’s remains, in 1982 the PFLP-GC swapped three kidnapped Israeli reservists – Yosef Grof, Nissim Salem and Hezi Shai – who had been taken captive during the Second Lebanon War in exchange for the release 1,150 Palestinians held in Israeli prisons. That prisoner exchange, known as the Jibril Agreement, took more than a year to negotiate and many of those released later became leaders of the First Intifada which broke out in 1987. A Palestinian leadership that turns killers into martyrs won’t be making peace with the country of those they want to kill — which leads to the next obstacle. Fourth, the obstacle of Israeli rejection. Not surprisingly, decades of terrorism, Jew-hating, and martyrdom by the Palestinian leadership and people who — let’s not forget — have rejected multiple Israeli officers of a state to call their own have understandably taken their toll on a weary Israeli public. Israel’s Haaretz newspaper reported in late March that 42 percent of Israelis support some form of West Bank annexation, something that used to be a fringe idea, as compared to 34 percent that still hold out hope for a two-state solution. So, here’s an idea: Let’s escape the comfort of our irrelevant debates over settlements, borders, and Jerusalem and, for a change, grapple with the cultural obstacles that represent the true barriers to Israeli-Palestinian peace. The deal is critical to Sisi, who is seeking U.S. support for his bid to amend Egypt’s constitution in a manner that will allow him to lead the country indefinitely. It is critical to prospects of security and lasting peace in the Middle East as well. To understand why, it is worth considering an event that occurred forty years ago last week. Last week marked the 40th anniversary of the signing of the peace treaty between Israel and Egypt on March 26, 1979. In Israel, the commemorations of the event were modest and mainly limited to university seminars. In Egypt, the peace deal’s anniversary was ignored. On the face of it, the absence of official commemorations in either Israel or Egypt is strange. The Egyptian-Israeli peace has long been touted as a watershed event — just as important as, if not more important than, the Islamic revolution in Iran that occurred a month before the peace was concluded. Until the Khomeinst revolution, Iran had been Israel’s strategic ally and America’s strongest ally in the Islamic world. The revolution transformed Iran into their most fanatical enemy. By the same token, until it concluded its peace treaty with Israel, Egypt was Israel’s worst enemy. It had also served as the Soviet Union’s most powerful Cold War ally against the U.S. in the Middle East. By making peace with Israel, then-Egyptian President Anwar Sadat ended Egypt’s state of war with Israel and transformed Egypt into the pillar of America’s alliance system in the Arab world. Moreover, at the time, the peace treaty Egypt concluded with Israel was viewed as the basis for a wider regional peace between Israel and all of its Arab neighbors. Forty years later, Iran continues to be the foremost foe facing America and Israel. But the promise of peace between Israel and the Arab world that Sadat seemed to carry in his suit pocket at the time disappeared. According to survey data, the Egyptian people hate Israel and Jews more than the Iranian people do. Some 120,000 Palestinians work in Israel, bringing large sums of money to the Palestinian territories and providing a livelihood for 600,000 people. There is a large pay differential between employment in the Palestinian Authority and in Israel; for the same job, workers in Israel earn twice as much. In recent years, the IDF’s top brass have concluded that the number of permits for Palestinians to work in Israel can be dramatically boosted. Employment opportunities can be opened up to women and older men with clean records, with . . . minimal risk to Israel. If 400,000 Palestinian workers entered Israel every day, this would significantly improve the Palestinian economy. More than 1 million Palestinians would directly enjoy the fruits of working in Israel, and the whole population would benefit from the injection of new cash into the local market. When it comes to Palestinian terrorism, Israel’s security is based on its forces’ ability to foil the formation of terror cells in the West Bank on a daily basis. Their great success stems from Israel’s wide-reaching intelligence network in Palestinian towns and villages. To guarantee the effectiveness of this intelligence, Israel needs free military access to every part of the Palestinian autonomous areas. This is not the situation in Gaza. Israel pulled its army out of Gaza and consequently wrapped up most of its intelligence network there. The IDF’s ability to stop terror attacks from the Gaza Strip is therefore extremely limited. This mistake must not be replicated in the context of unilateral moves in the West Bank. The wider Israeli leadership should embrace this truly unique moment to join forces for the future of their country. Immediately after the election, they must put aside the bruised egos and petty differences, to create a stable and lasting coalition government from across the political spectrum that will embrace the Trump administration’s vision for safer, more secure and more prosperous Middle East. From day one, the Trump administration has shown its support for Israel has been not only by word, but also deed and action. Therefore, when this administration says it “has Israel’s back,” Israelis overwhelmingly believe it. The Israeli public, the most pro-American population in the world, can accordingly rest assured that any future peace agreement led by the Trump administration will have the Jewish state’s security interests foremost at heart. As such, the upcoming peace plan will present a unique occasion for Israel that will require of its leadership courage, commitment and most of all, unity, to seize this unprecedented opportunity by coming together to embrace the vision our American family is creating for a stronger and safer Israel and Middle East. The majority of Israeli citizens believe there are positive relations between the country’s Jewish and Arab populations, according to a survey published Thursday by online magazine Sicha Mekomit (Local Call). Fifty-three percent of Jewish respondents said that day-to-day relations between Jews and Arabs are largely positive, with one-third testifying to negative relationships based on personal experiences. Just 13% said they did not have enough contact with the Arab population to answer. Some 76% of Arab respondents said that, in their daily lives, relations between Jews and Arabs are largely positive. Only 6% said they did not have sufficient contact with the other population group to answer. The pre-elections survey, led by Dr. Dahlia Scheindlin and David Reis, revealed that the majority of Jews and Arabs believe cooperation between the two populations can advance various goals, including environmental protection, workers’ rights and women’s rights. 1. Haifa is not "on the West Bank." It's in Israel. Where Jews & Arabs live together in harmony. For the first time in a century, Germany’s military will have rabbis as chaplains. Defense Minister Ursula von der Leyen announced this week that her ministry will appoint Jewish chaplains to the Bundeswehr based on recommendations from the Central Council of Jews in Germany, the umbrella organization that represents the approximately 100,000 members of Jewish communities nationwide. In addition, a treaty on the military chaplaincy will be negotiated between the Federal Republic of Germany and the Central Council of Jews, as it was for Protestants and Catholics decades ago. Von der Leyen and Council President Josef Schuster are among those who will address a high-ranking conference that began Wednesday on both the history of Jewish chaplains in the German military and the expectations of such a chaplain today. President Jair Bolsonaro of Brazil said that Nazism was a leftist movement following his visit to the Yad Vashem Holocaust memorial in Jerusalem. The far-right leader was asked on Tuesday during his visit to Israel if he agreed with the claim by his foreign minister, Ernesto Araujo, that Nazis were leftists. “There is no doubt, right?” Bolsonaro replied, according to Reuters. Bolsonaro was visiting Israel just days before Prime Minister Benjamin Netanyahu is up for re-election. Prior to the trip, the Brazilian leader walked back his promise to move his country’s embassy to Jerusalem from Tel Aviv, saying that his government may instead open a “business office” in Jerusalem. French media outlets revealed on Wednesday that a man who described himself as the “heir of Mohamed Merah” — the Islamist terrorist who murdered three young children and a rabbi at a Jewish school in Toulouse in March 2012 — was arrested by security agents last week on suspicion of plotting his own terrorist attack against a school. Broadcaster BFM TV reported that the man was seized in the Seine-et-Marne region near Paris on March 25 while attempting to obtain weapons. According to police, the man had been planning an attack on children at a nursery school, apparently following the example set by his hero, Merah. A second man was also arrested on charges of complicity. During his interrogation by police officers, the main suspect, a 21-year-old, told police that he saw himself as Merah’s “heir.” He admitted that he had picked out a school as his target, and that his plan had been to kill some children and take others hostage, with the goal of dragging police into a gun battle. The man was subsequently charged on March 29 and remains in custody. The arrested man was already the subject of a French intelligence file, BFM TV reported. Investigators who inspected his computer and cell phone said that he had attempted to erase his browsing history, including extensive use of the dark web. Syria will not shy away from using force to reconquer “every inch” of the Golan Heights, the country’s foreign minister threatened Thursday. “Syria will liberate the occupied Golan by all means and all choices are on the table,” Walid Muallem said at a press conference in Damascus alongside his Venezuelan counterpart. On March 25, Trump signed a presidential declaration formally recognizing Israeli sovereignty over the Golan, standing alongside Prime Minister Benjamin Netanyahu. Israel captured the strategically important high plateau during the 1967 Six Day Way and extended its laws over the territory in 1980, a move that was condemned at the time by the international community, including the US. “We have will and determination and our war since 2011 is to protect Syria’s sovereignty and independence and to liberate every inch of its territories,” Muallem said. On a recent hike in the Jericho region, volunteers for “Protecting the Eternal” discovered a burial tomb that had been exposed in the course of construction work. The graves were looted and human remains were scattered throughout the area. The ancient burial caves on the outskirts of Jericho date back to the Second Temple period and are apparently part of the extensive burial grounds of the Hasmonean palace uncovered at the site. The cave was recently exposed in the course of landscaping work carried out by local Arab farmers, who rolled tractors over the site to prepare the ground for agricultural work. Hikers who visited the site over the weekend were appalled by what they found: Human remains were strewn everywhere on the freshly tilled ground, the catacombs were thoroughly ransacked and looted, and the sarcophagi (burial caskets) that had been resting in the caves for more than 2,500 years had disappeared. On April 1, 2019, Al-Jadeed/New TV (Lebanon) aired a report and hosted a show featuring Hawra Nada, a young Lebanese girl who donated money she saved to Hizbullah Secretary-General Hassan Nasrallah. The report showed Hawra removing money from a penny bank. Hawra said that she loves Hassan Nasrallah, that her life is dedicated to him, and that she gave him the money she saved up so that he could "get a missile and fight the enemies" like she saw him do on TV. Addressing Israel, Hawra said: "If you kill little children, Hassan Nasrallah will kill you." After the report, Hawra was shown in the studio wearing a hijab, which she had not been wearing in the video of the report. The show host explained that Hawra started wearing hijab after she was given a hijab, a copy of the Quran signed by Hassan Nasrallah, and other gifts during an appearance on Al-Manar TV because of her donation to Nasrallah. On March 10, 2019, hundreds of residents of Daraa in southern Syria protested against the restoration of a statue of former Syrian President Hafez al-Assad, which had been toppled when the civil war began. The protests, alongside the fact that President Bashar al-Assad controls only about 60% of Syrian territory, indicate that the situation in Syria is far from stable. Today, the stabilization and rebuilding of Syria seems more a utopian vision rather than reality in the making. Syria of 2019 has become a country with multiple power centers that compete with each other for long term influence and control. These include Assad's formal state-framework, foreign political actors (Russia, Israel, Iran, Turkey), and non-state actors (armed rebel forces, political opposition, Shiite militias, and Kurdish forces). This multi-actor reality will make it difficult to establish an effective central regime, especially a legitimate one. The massive physical damage caused by the war is joined by the challenge of the refugees, particularly the many middle and upper class families that will not return to Syria. This will make it difficult to find appropriate human resources to operate the reconstructed services. The defeated Sunni majority has been left more repressed than it was before the civil war. "In Iraq, I can announce today, based on declassified U.S. military reports, that Iran is responsible for the deaths of at least 608 American service members," Brian Hook, U.S. Special Representative for Iran, said during a State Department briefing Tuesday. “This accounts for 17 percent of all deaths of U.S. personnel in Iraq from 2003 to 2011. This death toll is in addition to the many thousands of Iraqis killed by the IRGC’s proxies.” Since 2003, more than 4,400 U.S. service members have been killed in Iraq. This number has been a matter of debate for years, shrouded in secrecy by the Pentagon with the previous estimate put at about 500. Scores of American personnel were killed by highly lethal bombs, known as explosively formed projectiles, or EFPs, that Iran manufactured and supplied to Shiite militias across the border in Iraq. Many EFPs were powerful enough to destroy U.S. Humvees and even breach tank hulls. In July 2015, during the Senate Armed Services Committee confirmation hearing for Marine Corps Gen. Joseph Dunford, now chairman of the Joint Chiefs of Staff, Sen. Tom Cotton, R-Ark., pressed him on this. “You have served in Iraq and Afghanistan. Do you know how many soldiers and Marines underneath your command were killed by Iranian activities?” Cotton asked.